There is nothing quite like an all-you-can-eat buffet. You put your money down (and it's never big dollars), grab a plate and then it's anything and everything goes. The only limit at these Tampa Bay favorites is the size of your appetite. There are more than 25 types of pizza at CiCis Pizza Buffet, including the standards (like pepperoni or sausage) and the adventurous (like buffalo chicken or mac and cheese). Pile your plate with as many slices as you please. It’s all-you-can-eat for $5.99; kids are $2.99. Don't forget to save room for cheesy garlic bread, bbq wings, and salad. 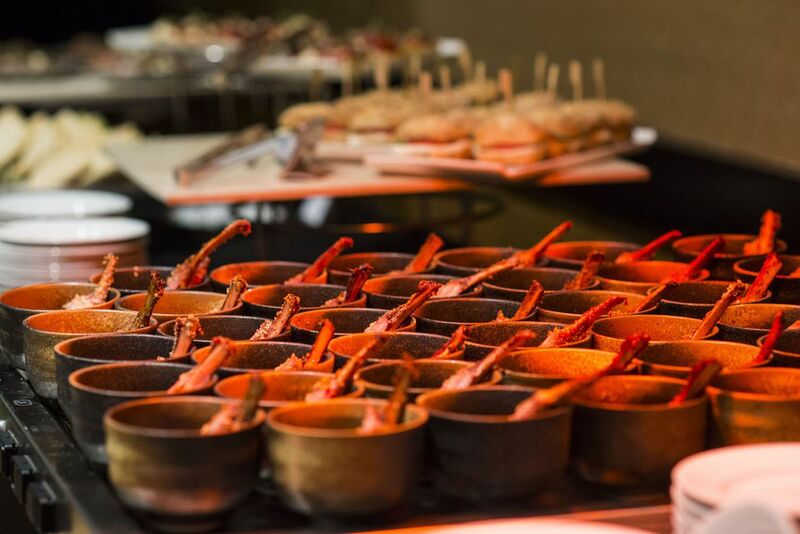 If you've got any money left over from the gambling tables, you might want to get your second wind at this all-you-can-eat buffet restaurant located inside the Seminole Hard Rock Hotel and Casino. The price isn't that cheap (around $27 during the week and Sunday brunch) but with seven dining stations like a Mongolian Grill and Italian outlet in the offing, you can stock up on everything from oysters on the half shell and seafood dumplings to grilled-to-order steaks. Lupton's serves an all-you-can-eat buffet for breakfast, brunch, lunch, early dinner and dinner, which means for around $10 a pop, you can have the best of all possible worlds. Plus kids can choose from a special menu or pay a reduced price. Breakfast: Pile your plate with bacon, eggs, sausage, home fries, sausage gravy, grits, pancakes, strawberry pancakes, french toast, biscuits, muffins, assorted danishes, hot maple syrup, spiced apples, strawberry syrup and seasonal fruits. Lunch and Dinner: Treat yourself to BBQ beef, pork, ribs, chicken, fried chicken, baked beans, potato salad, crispy cole slaw, collard greens, mashed potatoes, green beans, and the salad bar (if you must). Brunch: Weekend brunches combine the best of both lunch and dinner, plus add steak nuggets, cheese sauce, tater tots and French toast sticks to the mix.